You know how you’re like, “Man, I love watching football but when I watch the Bears, I hate watching football”? Well, there’s hope in Halas Hall following the just-announced hiring of new Bears coach John Fox, who replaces Marc Trestman after what technically was a season of football but could more accurately be described as repeated blows to the unprotected head and groin. Will Fox be able to manage a team more dysfunctional than your in-laws after a family eggnog keg stand? With Jay Cutler still the Bears’ main man at QB, it might be easier to urinate at Wrigley Field without shame. 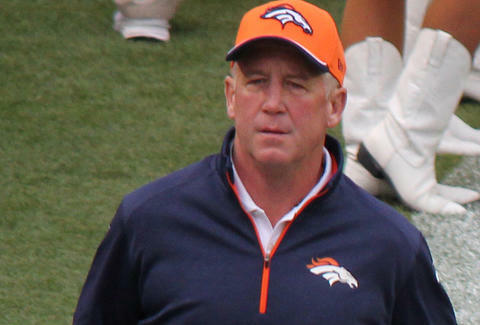 Fox has guided Denver to four straight first-place finishes since he was hired by the Broncos in 2011, but has only one disastrous 43-8 Super Bowl loss to show for it. Following another early exit in the playoffs this year, which had the Broncos looking like they had studied the Bears for inspiration, Denver decided not to renew his contract. Yet Fox has overcome tougher challenges before, like in 2002, when he was hired to take over the Carolina Panthers after a devastating 1-15 season (so yes, Bears fans, it could be worse). Fox showed immediate results, posting a 7-9 record the next year and guiding the Panthers to the Super Bowl in 2003, where they lost a close game to New England on a late field goal. Following additional playoff losses in 2005 and 2008, Carolina let him go in 2010. Now the man called “Foxy,” who turns 60 next month, has landed with the Bears as another high-profile new recruit from Denver. The last big recruit the Bears scored from Denver? That was a man who goes by the name Jay Cutler. Jay Gentile is Thrillist’s Chicago Editor and he is always cautious about accepting gifts from people from Denver. Follow him @ThrillistCHI.